The path to power is paved with long years of study and practice where the most disciplined seek a balanced mind and the contentedness with the universe that one never needs to use the power that they’ve long developed. This is the path to the Jedi Master. Of course, that is a frustrating road for some. What about using all that power that you’ve worked so hard to gain!? Sure, there is something to be said about sitting in weird chairs in near silence next to several other odd looking aliens… frog people, any number of folks with head tails, but none of that sounds like the path that you’ve set in front of yourself. No. Let’s go with the power and use it to make sure that the people we care about will be safe forever! Of course, that is a dangerous path, itself. 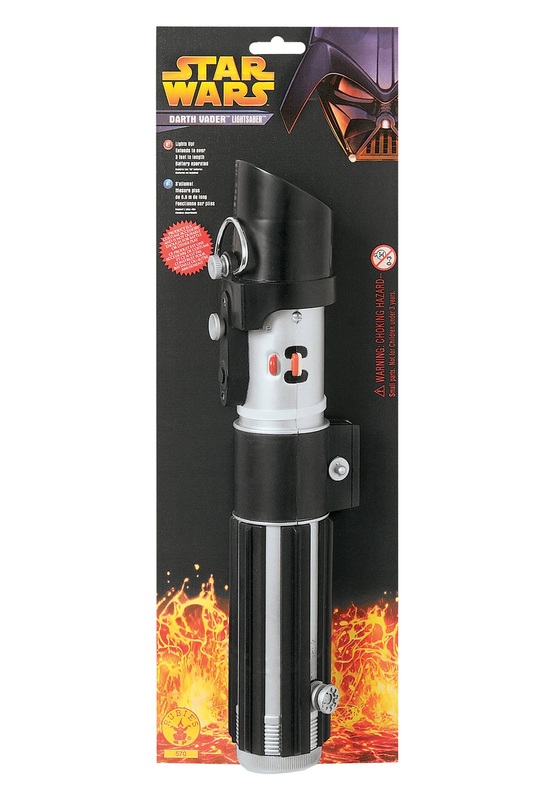 And, once you’ve taken the first few steps into embracing that power and using it to gain what you need, giving fully into your feelings, you might find that the shining blue or green lightsaber that you were expecting to inherit might be replaced by this Darth Vader Lightsaber accessory. 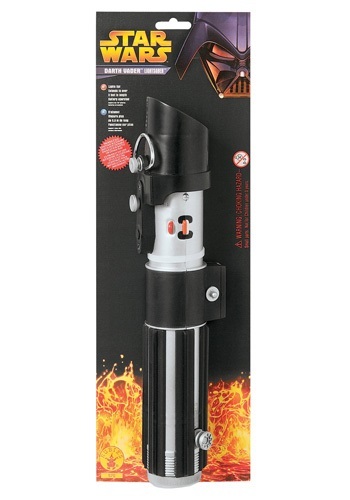 Its plastic red blade extends out 36” long and lights up in its crimson Sith brilliance with two AA batteries. It may not have been the path that you planned to take, but it is the path to true power. 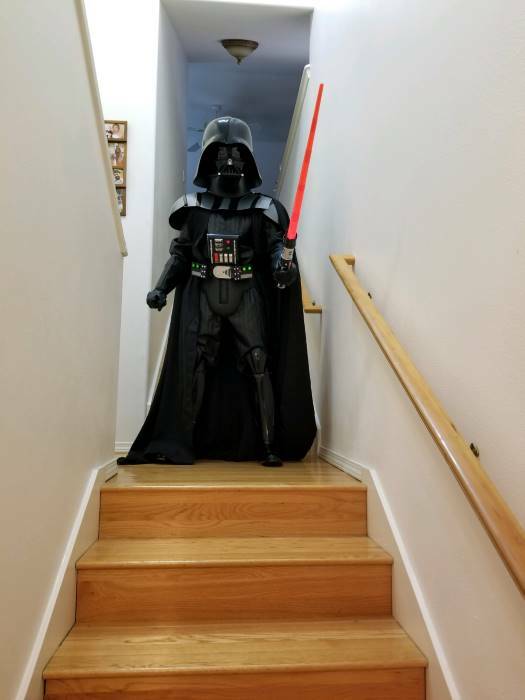 If you’re not careful, you’ll probably need to acquire a Darth Vader helmet and cape, too… or maybe you’re actually the first well-balanced Jedi Master that just really likes the color red! Got this to impress my family for this last Halloween! It definitely did! Had so much fun with it! Good quality as well. I am a small female and it’s a men’s size small. So it was a little big but we made it work. I just said I was a midget Darth Vader. Lol. I got the whole costume including extras: boots, light saber and breathing device. All of it was great! Biggest piece of junk on the planet. The battery compartment is designed too large so the batteries don't make connection and it doesn't glow. It is VERY cheaply made. A piece broke off within a few minutes. GARBAGE.